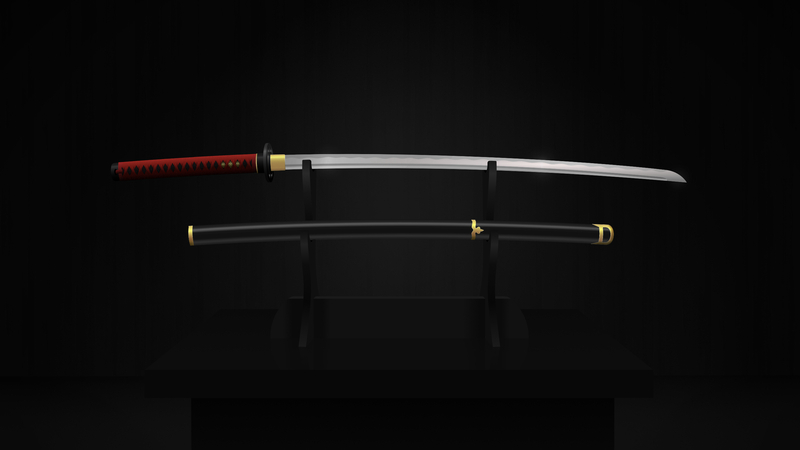 In this tutorial we'll be stepping through the process of creating a realistic katana (Japanese sword) using Affinity Designer. Check out the file attached to this tutorial to see a full-size version of the piece. The tutorial will assume you have a working knowledge of the tools in Affinity Designer and a good degree of comfort with vector design. If you're experienced with vectors but new to Affinity Designer, you can follow the free course "Affinity Designer Quick Start" to get the essentials on the tools we'll be using here. A drawing tablet is helpful for speed, but not essential as a mouse will do the job too. Let's get started! Katanas are quite complex things composed of many components, and traditionally they are made with meticulous attention to detail. For this reason, without reference material it can be very easy for your katana to turn out looking not quite right. To avoid this, it's important to gather lots and lots of reference material—as many images as you can find. We'll be designing our image to be displayed at a size of 1366 px by 768 px, but we'll be creating it at a real size of 2730 px by 1536 px. This will allow our final image to be Retina / 2x display ready. We'll achieve this using Affinity Designer's ability to create a canvas sized in "points" instead of "pixels". With "points" you can decide how many actual pixels there should be per display pixel by setting the DPI of your document. With a DPI of 72, a single point represents a single pixel. But with a DPI of 144, a single point represents two square pixels. So a canvas that's 1366 pt by 768 pt with a DPI of 72 will have a 1x resolution when displayed at 1366 px by 768 px. But a canvas of 1366 pt by 768 pt with a 144 DPI will generate an image with an actual pixel size of 2730 px by 1536 px, and will have a 2x resolution when displayed at 1366 px by 768 px on a Retina / 2x display. Affinity Designer does provide the ability to design at 1x resolution and then automatically export at 2x and even 3x the original size. However, this upscaling process requires an image to be totally composed of vectors. One of Affinity Designer's coolest features is its Pixel Persona, which lets you easily mix raster and vector graphics, and we're going to be using this a little bit during our workflow. However, raster elements won't upscale without looking blurry, although they will downscale well. So to create a design ready for 2x, we need to plan ahead and create everything natively at 2x and then downscale to 1x later. As we go through the process of coloring our katana, we have to make sure it contrasts well with the background, so we'll need to put a temporary background in place to help us with this. We'll be creating a more interesting backdrop later, but for now let's just put approximately the right colors behind our work. Our image will have three major components whose curvatures need to be authentic and consistent: the blade, the handle and the scabbard. In a katana the blade travels all the way up the inside of the handle, so it has to look as if it would fit in there. Similarly, the blade needs to look as if it fits properly into the scabbard. Finally the handle has to look as if it would align with the scabbard when the sword was sheathed. To achieve this, we'll start by creating a base curve shape from which we'll derive the curvature for all three. These shapes are probably the ones you should pay the most attention to getting right as they'll form the foundation of your whole design, and if the curvature is wrong the whole thing will look "off". Create a long rectangle and then drag its top and bottom edges up until you get a curvature that matches what you've seen in your reference material for katanas and their scabbards. Try to avoid overly curving the shape. Make a duplicate of this shape so you can keep it as a base template for your shape to refer to throughout the design. Then split your shape into two sections, with the leftmost shape to become the handle. Take a look at your reference material to decide where this split should occur. Duplicate the rightmost shape and drag it down out of the way a little. This shape will become the scabbard. Set the color of the original rightmost shape to a light grey. This will become the blade. Adjust the blade shape to match your reference material, moving the top right node and adding curvature to it using the Corner Tool, and rounding off the right edge. Then duplicate the shape, set it to a darker color and shrink and adjust the new shape to create a groove along the bottom of the blade. Over the left end of the blade, create a small rectangle with rounded corners on the right side, and slightly curved left and right edges, to act as the collar that connects the blade to the handle. Create a set of wrist guard (tsuba) basic shapes, using ellipses to create disc shapes and modified rectangles to create their outer rims. Using adjusted rectangle shapes, add a cap to the left end of the handle and a collar to the right end of the handle behind the wrist guard. Now let's move on to the scabbard basic shapes. Using rectangles with rounded corners and adjusted edges where necessary, add caps to the left and right ends of the scabbard, as well as a band about a third of the way along from the right end. Move the scabbard until it is horizontally centered in line with the sword, with a relatively small vertical gap between the two. Then rotate it slightly counter-clockwise until its ends are level with one another. You should now have something that looks like this. We'll be creating the stand in two halves on two different layers—this is to help us make it look as if parts of the stand are behind the sword and scabbard, and other parts are in front. Take a look through your reference material for guidance on the common shapes of katana stands. Then create shapes like the ones you see in the image below to form the top half of the stand. The easiest method is to get the shapes on one side how you want them, and then duplicate them and flip horizontally to create the corresponding half of the pair. Remember to put the top half of your stand on a layer between your scabbard and katana, making it look as if the top of the stand's supports are in front of the blade, while the bottom is behind the scabbard. On a layer above your scabbard layer, add shapes to form the bottom half of the stand. I suggest creating the horizontal base part first, then making the vertical "leg" sections to wrap around it. Try to make sure the lines of the bottom half look as if they connect with the top half. Right now the background is showing through in the small gaps underneath the katana and scabbard, just above the supports each is resting in. On a layer behind the katana, add some simple black rectangles to fill in these gaps on the top half of the stand. On a layer behind the scabbard, do the same thing for the bottom half of the stand, adding black squares to fill in the gaps so the background doesn't show through. Your basic shapes are now finished, and you're ready to move into adding some realism. Change the fill of the blade from a solid color to an elliptical gradient with a very light grey, almost white at the center. Adjust the shape and position of the gradient until it gives the appearance of light hitting the blade towards the end. We also need to simulate some lighting effects on the blade's left end, so add a Gradient Overlay to the shape using the Layer Effects panel. Set the Scale X value of the overlay to 50% and Offset X to -25%. This will allow you to position the gradient so it only appears on the left end of the blade. Set the rightmost stop to be completely transparent so the gradient will gradually fade out. Set multiple color stops between the 0% and 50% position to create some lighter and darker grey areas, simulating light reflecting off a point a little to the right of the handle. Duplicate your blade shape, and then use the Node Tool to add several extra nodes, bringing the bottom edge up higher and making it wavy to create a tempered edge for the blade. Then give it a Linear Gradient with several stops of varying lightness, trying to make colors offset the main blade colors well. Give your groove shape an Elliptical Gradient fill that's light in the center and position it so that it looks as if light is hitting it not far from the highlight on the right end of the blade. Also give it some extra depth by adding a subtle Inner Shadow via the Layer Effects panel. Use Add for the shadow's blending mode, give it a Radius of around 7px and Offset of around 4px, and set it to a dark grey Color at around 42% Opacity. The groove is currently still a little too dark at the left end. To fix this, create a trapezoid shape nested inside the groove shape in the layers panel. This will cause it to be masked so we can only see the portion of the trapezoid visible "through" the groove shape. Apply the Transparency Tool to the trapezoid so the right half of the shape fades out, thereby blending it into the rest of the groove. Then give it a vertical Linear Gradient that's dark grey at the top and light grey at the bottom. Use the Fill Tool to position the gradient and create what looks like a shadow at the top of the groove, transitioning into a lighter color at the bottom. At the moment the part of the blade that's below the groove still looks a little too flat, so we need to give it more variance in lightness and darkness. Make another duplicate of the blade, and this time edit it until you have a strip that runs along below the groove. Give the strip an Elliptical Gradient that's much wider than it is high, creating a shallow curve highlight on the underside of the blade. Finally, we're going to add some light flares to accentuate the lighting highlight points we have on the blade. Create a small ellipse and add an Outer Glow to it with a white Color, a 70 px Radius, Intensity of 40% and the Blending Mode set to Screen. Duplicate the ellipse, shrink it a little, increase the Intensity of its Outer Glow to around 80% and reduce the Radius to around 35 px. Now, at a point where there is a highlight on the blade, put the frontmost of the two ellipses in front of the katana and the rear ellipse behind the katana to create a light flare. Duplicate the two ellipses and reposition them to wherever else you want a flare on the blade, tweaking their size and Opacity if necessary. Your finished blade should now look like this. Select the collar shape at the left end of your blade and use the Layer Effects panel to add a Color Overlay set to #896D36, with Color Burn Blending Mode and an Opacity of 28%. This is going to help us get the rich, smooth colors we want. Then set the fill to a vertical Linear Gradient with colors like you see in the image below to create a gold effect. It helps to include a little noise in the colors of your first and last stops to generate some texture. Give the shape a stroke of 0.5 pt, and then go to Layer > Expand Stroke in the menu to turn the stroke into a stand-alone shape. Give it a Linear Gradient like this, with a fair bit of noise in the colors to add texture. Duplicate both the main shape and the stroke shape, and then darken and desaturate the colors in the main shape's gradient like this. Set the Blending Mode for both duplicated shapes to Multiply and the Opacity to 21%. Select the Vector Brush Tool and in the brushes panel, under the Textured category, select the brush Paint 1 and paint a stroke like this. You want it to have roughly the same curvature as the collar, so if it's not quite right when you first draw it out, grab the Node Tool and edit your brush stroke's nodes. Move the brush stroke over the top of the collar shape, and then in the Layers panel nest the brush stroke underneath your first collar shape (the one with normal blending mode), so that the collar clips off its top and bottom ends. Change the stroke's color from white to black, and then, with it still selected, press Command-G to nest it inside a group. Set the group's blend mode to Reflect, and then inside the group duplicate the stroke and move it just to the left of the first one. Continue doing this until you have about 12 of these strokes covering the whole collar shape. It should look like this. Duplicate the group of brush strokes you just created, and with the group lowest in the Layers panel (i.e. 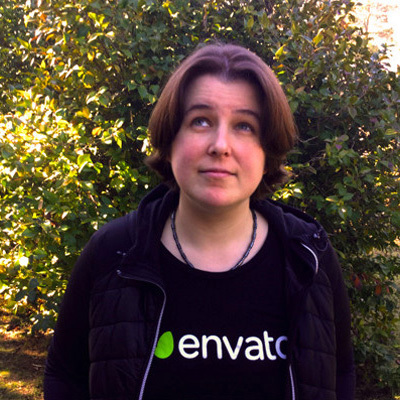 the one behind the other), change the Blending Mode to Overlay and the Opacity to 50%. Your completed gold collar should now look like this. Apply Linear Gradients to the shapes at each end of the handle so they look rounded, with light hitting them from above. You can use the same gradient on both shapes. Duplicate the shape at the right end of the handle and, ensuring it is behind the original in the Layers panel, move it to the left a little and decrease its height very slightly so its top and bottom edges can't be seen, thereby creating a "trim" shape. Start coloring it gold by giving it a Linear Gradient with some noise for texture like this. Duplicate some of the vector brush strokes you used to add texture to your gold collar, and move them in the Layers panel so they become masked by your trim shape. Set their Blending Mode to Overlay and Opacity to 58%, and then position them so that they give texture to the trim shape. Duplicate the whole trim shape and set the topmost version's Blending Mode to Multiply. You should now have a gold trim at the end of your handle like this. For the wrapping that covers the handle, we're going to create one piece of twisted fabric and duplicate it many times to create our full wrap. Create a shape like this and give it a red Linear Gradient, with stops to make it look illuminated on top and shadowed underneath. Include some noise for texture. Nested inside the shape, create two triangles and add partially transparent black Linear Gradients to them so that they look like shadows created by the twist in the middle. Use the Fill Tool to adjust the size and orientation of the gradient to get the right effect. In between the two shadows, and also nested inside the twist shape, create a shape like this with a partially transparent white Linear Gradient to create a highlight and complete the twisting effect. Once again, use the Fill Tool to give your gradient the right size and orientation. Nested inside the twist shape, and on a layer below the shadow and highlight shapes, create a tall thin rectangle shape and bend it to match the curvature of the sword handle. Fill it with a vertical Linear Gradient that's red at the top and very dark red (almost black) at the bottom. Duplicate this shape and repeat it at regular intervals from the left to right sides of the twist shape. Your completed twist should look like this. Duplicate the twist shape repeatedly and use it to cover the handle, except for small gaps at the ends. Flip every second one horizontally so that it looks as if the fabric twists in an alternating direction, and rotate each duplicated piece counter-clockwise slightly so that it follows the curvature of the handle. Using the same method you did to create the twist pieces, create two extra pieces of untwisted fabric to complete the wrapping at each end of the handle. At this point, you may need to adjust the underlying handle and the left cap piece so everything fits nicely. Add a black ellipse over the top of the handle's left cap to create what looks like a hole in it. Take one of the end pieces of fabric from your handle wrap, rotate it 90 degrees, and then resize it so it looks like a loop of fabric passing through the hole in the handle at one end and the first gap in the handle wrap at the other end. Hide the wrapping temporarily, and then give the underlying handle some roundness and texture by applying a Linear Gradient like this, with Noise set to 100% in each of the stops. Create some small shapes to act as ornaments on the handle (menuki) and color them gold using the same method you did with the collar and handle trim earlier. These can be any shape you would like. Position them to show through the handle wrapping, towards the right end of the handle. Your completed handle should now look something like this. First we want to make the wrist guard more ornate rather than just being composed of discs. You can get creative here and rework the shapes however you would like, but I went for hollowing out the larger disc by using shapes like this. After refining the wrist guard shapes, add lighting by applying linear gradients. Your entire katana is now finished, and that's by far the biggest part of this piece. Take a moment and check out what you've made—it should look something like this. Set the layer for your scabbard to show again, and rework the shapes on it to be more ornate and decorative. Now we need to give the scabbard roundedness and a sheen coming from the light bouncing off it. This is a little tricky because in Affinity Designer you can't use layer effects over a transparent fill. To create a sheen on the scabbard in another design app, I would do something like duplicating the scabbard shape, applying an offset inner glow, and setting the fill to zero opacity. In Affinity Designer, though, if you set the fill to zero opacity, the layer effects will also become transparent. We also can't use linear gradients to create lighting on the scabbard due to its curvature, meaning some easier techniques are out. So we're going to use an alternate solution, and for that reason the following steps might seem strange, but follow along and you'll see where we're headed. First, split your scabbard into two parts like this, and color the top one #1F1F1F and the bottom one #393939. Now we're going to make a sheen that runs along the top of the scabbard. We're going to do this by making a lighter colored, long curved rectangle where we want the sheen to be. We'll fade the top of this rectangle into the scabbard by applying a dark inner shadow effect to the top. Duplicate your top shape, move its top two nodes down a little, and give it the fill color #797979. Add an inner shadow with the color #202020, set to Normal Blending Mode, at 100% Opacity, pointing straight down with a Radius of 4 px and an Offset of 4 px. To blend the bottom of the sheen in, make a new shape underneath it like the one you see in the image below. Make sure its top edge aligns perfectly with the bottom edge of the sheen shape and set its fill to #111111. Give it an Outer Shadow pointing straight up, with the Color #111111, Normal Blending Mode, 100% Opacity, 15 px Radius, 7 px Offset and an Intensity of 45%. The sheen for the top half of the scabbard is finished, and now we're going to create a sheen on the bottom too. This time, though, we'll be converting the existing bottom part of the scabbard into a sheen instead of creating a new shape. Select the bottom half of the scabbard and apply an inner shadow to it. Set the shadow color point straight up with a Color of #1B1B1B, Blend Mode of Normal, 100% Opacity, Radius 8 px and Offset 8 px. You should see the bottom shape now gradually blends from dark to light. Now all we need to do is make the bottom shape fade from light to dark again at its top edge. To do this, add a new shape like the one you see in the image below and give it an Outer Shadow. Have the shadow point straight down, with a Color of #111111, a Radius of 18 px, Offset of 5 px and Intensity of 45%. This shadow will overlap the bottom sheen, blending it into the scabbard. You should now have a scabbard that looks rounded, with a bright sheen curving along the top and a more subtle one underneath. Convert the decorative shapes on the scabbard to give them a gold style, using the same techniques you did to create your gold collar on the blade. Right now, your gold ornaments may not seem to wrap themselves around the scabbard fully, appearing a little too flat, particularly the cap on the right end. To fix this, switch over to the Pixel Persona and grab a soft brush set to the color #B19854. Then, on pixel layers set to Blending Mode Multiply nested inside each of your gold shapes, paint some shadows in to make the ornaments look as if they fit the scabbard more closely. Using a Linear Gradient running from left to right, add shadowing like this to the stand's base near each of the two legs. Add a Linear Gradient from top to bottom on each of the front-facing parts of the stand legs, making the parts further away darker, and the parts closer lighter. I found the easiest approach here was to create one gradient that was the full height of the stand, even though it was too large to fit on either the top or bottom halves. I would tweak the gradient on one front-facing shape and then copy it onto the other three. Doing this helped to create a sense of consistency in the lighting of the stand legs. Draw out three rectangles, and fit them together like this to make a table. Now we'll add a reflection of the stand to the table. Duplicate the bottom half of the stand and flip it vertically, and then nest it inside the rectangle that forms the top of your table so it's masked inside it. Set the duplicate to 37% Opacity, and line the reflected stand base up with the real base. Then adjust the nodes on the reflected stand feet so that they line up with the real feet. Find a texture or image you like for a back wall. Don't worry too much about the color of the image you choose as you can adjust it. I used this free wood pattern from the Subtle Patterns collection. Create a rectangle that covers most of the background (leaving a space for the floor), and then use the Fill Tool to set its fill to Bitmap and load your texture in. Adjust the tiling to suit your preference. Add some Adjustment Layers to give your background a color and style that fits your scene. You don't want the background to be too bright or have too much detail as it will detract from your katana. It should also seem a little too dark right now as we're going to add a downlight shortly that will brighten things back up a little. I adjusted my background with Levels Adjustment, HSL Shift Adjustment, and Curves Adjustment. I also added a black rectangle over the whole wall and set it to Blend Mode Multiply at 35% Opacity. Create a floor by drawing out a rectangle that fills the gap under the back wall. Give it a Linear Gradient that's dark at the back and light at the front, with noise to create a carpet-like texture. Create a downlight by stacking three progressively larger ellipses on top of each other. Fill each one with an Elliptical Gradient that's white at both ends but 5% Opacity in the center and 0% Opacity at the outside. Shift the Midpoint of the gradient to about 66%. Combine the three ellipses into a group, and set the group's Blending Mode to Vivid Light and its Opacity to 45%. On the layer behind the downlight, add another black rectangle over the whole backdrop, i.e. the wall and floor, and set it to Blend Mode Multiply and 45% Opacity so it darkens everything enough that the katana still has a high level of contrast against the background. Finally, add a large ellipse around the document with an Elliptical Gradient that's transparent in the middle and dark around the edges, and adjust it to create a vignette effect, i.e. gradually fading to black at the corners of the canvas. Great work, your katana piece is now complete! To export the image at 2x resolution, just use the default JPEG export functionality under File > Export. Affinity Designer will include information specifying the image's DPI, so if you view it in "Preview" on a Mac, it will be displayed at 1366 px by 768 px despite its actual size of 2730 px by 1536 px. To export at 1x resolution, save a new copy of your document. Then change the Document Setup settings to take the DPI from 144 down to 72, and under Resample choose Bicubic. You can then export your image via the default JPEG export again and it will have both an actual size and display size of 1366 px by 768 px. An alternative method is to take the 2x resolution JPEG you exported and resize it. Despite having a superb experience with the design workflow in Affinity Designer, I was able to produce the best quality downscaling for my 1x image by resizing my 2x resolution JPEG in Photoshop, and then exporting it with Resampling set to Bicubic Automatic. I found the resulting image had less stair-casing and smoother lines. Affinity Designer is an amazing vector design tool (with raster tools baked right in too), and I hope you had a great time working with it. I'd love to see your versions of this katana, so please go ahead and share what you've created in the comments below!